Potato growers should now be looking at potential stress factors on crops to instigate effective Alternaria prevention, before the increasingly prevalent pathogen hits. But with blight pressure running so high this season, that should combine the best foliar blight control active, with the highest possible level of Alternaria protection, by applying Amphore Plus, advocates Syngenta Field Technical Manager, Douglas Dyas. “Alternaria leaf spots typically appear from the end of June, into July,” reports Douglas. “Usually followed by the highly pathogenetic A.solani from mid-July onwards - which can decimate whole fields within days of initial infection. 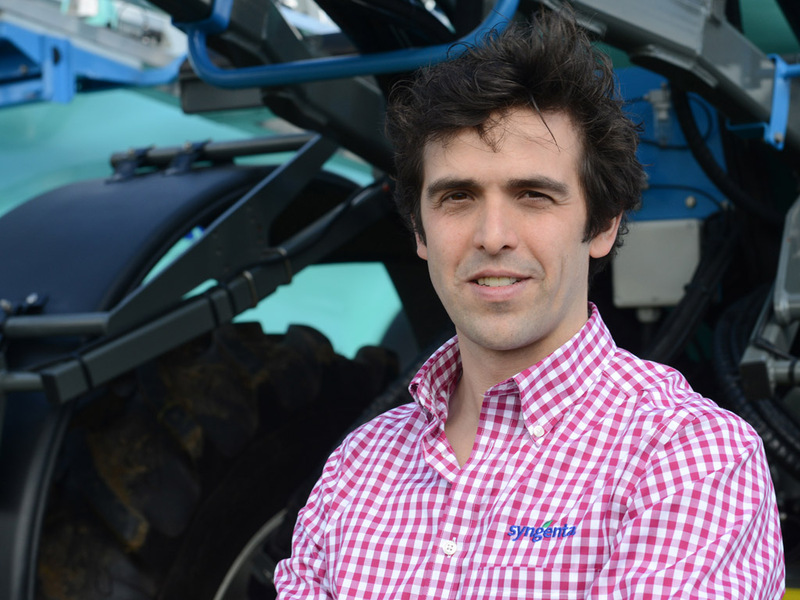 “An early start to the Amphore Plus programme has proven to be most effective in preventing infection and stopping early crop loss,” advises Douglas Dyas. He warns that there is a high proportion of varieties commonly accepted as being especially susceptible to Alternaria in the ground this season, which must be treated as a priority. However, NIAB leaf testing last season highlighted that all varieties can be infected, especially under stress conditions. Potato agronomists have pinpointed poor seedbeds and the slow start to the season is likely to have impeded root growth, which will make crops more susceptible to stress. Soil pest damage to roots and nutrient deficiency are also recognised as key factors that could predispose crops to stress. Douglas points out that Amphore Plus contains the full dose of the industry-leading single-active blight fungicide, Revus, in combination with the key Alternaria active, difenoconazole. “Crucially, the pre-mixed formulation contains 20% more active per hectare than the maximum permitted for growers to tank-mix as straights. “Furthermore, the one-can solution is quick and easy to use when spray operators are under immense pressure to maintain blight application intervals during the catchy weather conditions,” he adds. “It can save valuable time during sprayer turnaround that enables more acres to be covered. Leaf tissue tests by NIAB last year revealed 20 of the 57 samples collected contained the highly aggressive A. solani which is a specific pathogen of potatoes and solanaceae plants, along with 30 infected with the earlier hitting, but less damaging, A. alternata that results in a multitude of leaf spots – although it’s difficult to differentiate the two at an early stage in the field, points out Douglas. 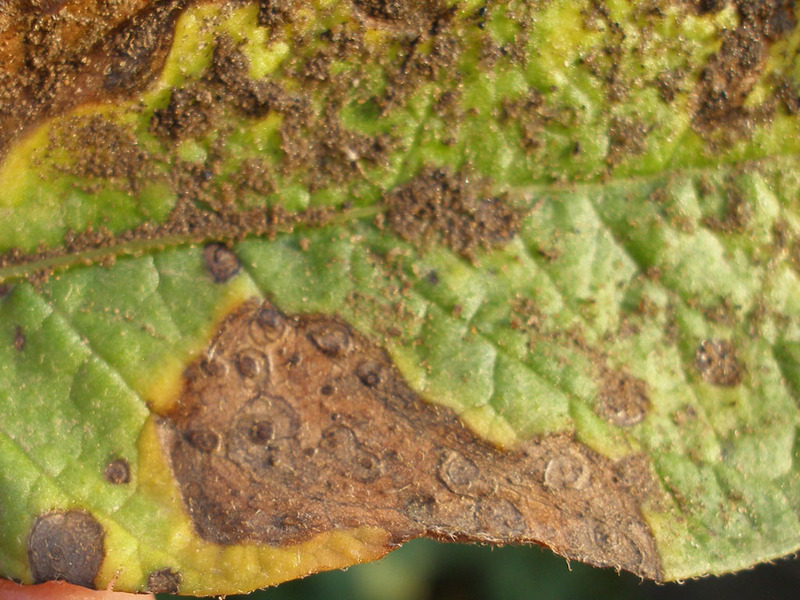 Potato agronomists agree that the incidence of Alternaria (pictured above) is increasing in the UK, for a number of reasons including more susceptible varieties; changeable weather conditions; a reduction in the use of mancozeb in blight programmes and shorter rotations that could increase the carry-over of disease. 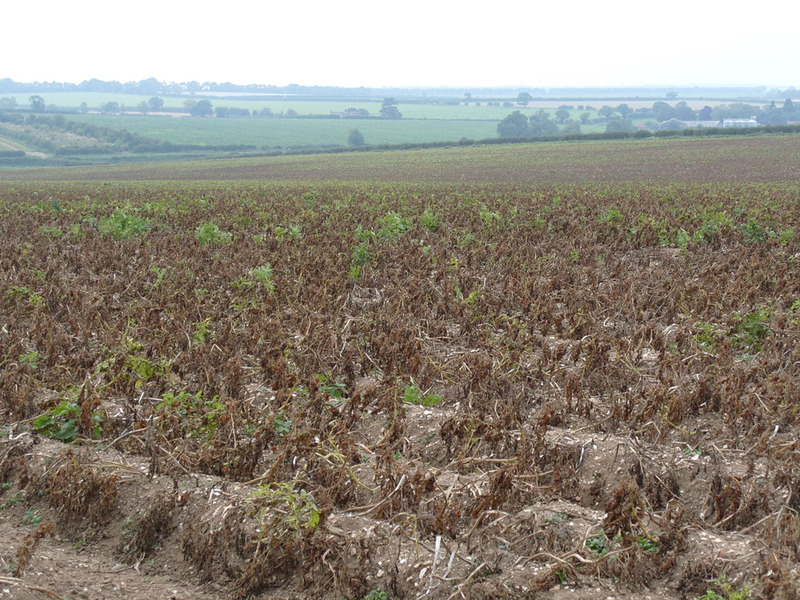 Douglas Dyas added: “Anything that puts stress on the potato plant will increase the risk of Alternaria attack, with the potential to quickly defoliate entire crops (below, in a crop of Markies in Norfolk). The earlier that it hits the greater the potential loss of yield, and the greater the chance of A. solani affecting tuber quality for storage.